Recently, Facebook introduced a new privacy tool in India. This tool is Profile Picture Guard that allows users to control who should download and share their profile photo. It also shows a shield symbol along with a frame on profile photo. This feature also ensures that strangers don’t tag themselves in your photos. This feature is only available in India, but Facebook has plans to introduce it in other countries soon. If you are in India, you can think of activating this to keep your profile pictures safe. 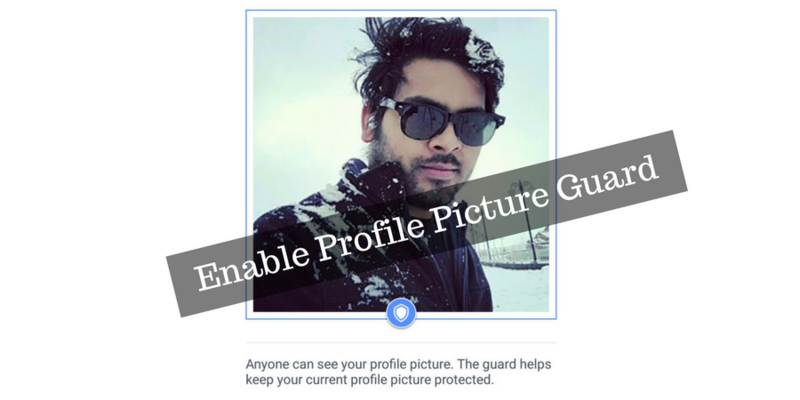 In this article, I will explain how to enable Profile Picture Guard on Facebook. To enable this Profile Picture Guard, you need to use the Facebook app for Android. It cannot be enabled from desktop and this feature is still pending for iOS app. When it asks for confirmation to save changes, tap on save button. Now other people will start seeing the Profile Picture Guard with a shield icon. Facebook says that the feature will discourage the misuse of photos. Facebook will surely come up with reports on how successful this feature becomes. But, we will have to wait for that. Do you think that this Profile Picture Guard is a good feature to stop misuse of profile photos? Share your views in the comments below.